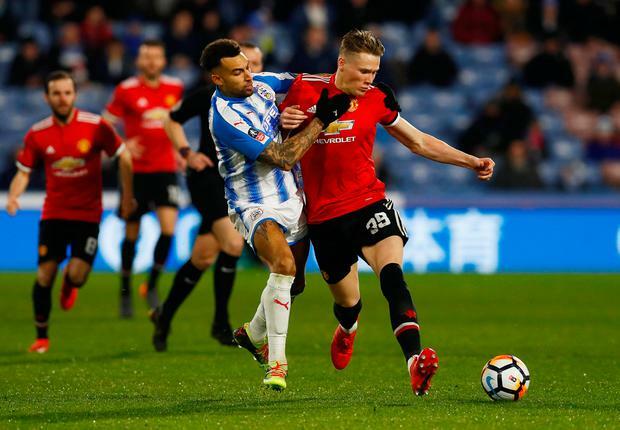 Manchester United secured a home FA Cup quarter-final tie with Brighton in a manner that can only be described as straight-forward. 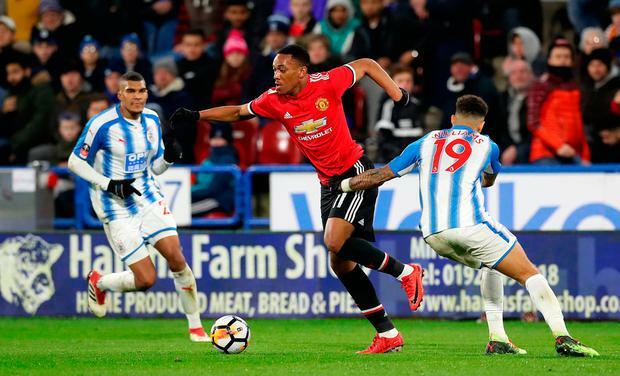 Despite the build-up and aftermath being dominated by questions over Paul Pogba, who may or may not recover from illness in time for Wednesday's trip to Seville, they never looked in danger for a moment against a determined and gutsy but ultimately limited Huddersfield Town. They scored twice from lightning-quick breakaways and might well have had a third were it not for the latest video assistant referee controversy. In many ways, this was the default Jose Mourinho performance: contained, controlled, efficient. And about as exciting as reading a washing machine instruction manual. Still, Mourinho expressed a significant degree of satisfaction with what was achieved. Not least because, due to a sudden flurry of injuries - with Pogba succumbing to a bug on the morning of the match - apart from David De Gea, he was unable to give any of his players the weekend off ahead of their Champions League tie against Sevilla. "Look, I didn't rest one single player so we had every player available. I didn't rest anyone, I brought two kids who played yesterday (Friday) 90 minutes because I don't have another player," Mourinho explained, in what was surely a dig at Manchester City manager Pep Guardiola, who recently named only six substitutes against Burnley, insisting he couldn't call up youth players because they had played the day before. "Can we recover some of them for Wednesday? I believe so. I think (Marcus) Rashford, (Ander) Herrera and (Antonio) Valencia have a chance. "Paul (Pogba) I don't know. Marcos Rojo, Phil Jones, Marouane, (Fellaini), Zlatan (Ibrahimovic)… I don't think they have any chance, so we arrive at this crucial moment with some problem." Mourinho was understandably frustrated by Pogba's late withdrawal. Not least because he had planned to use him in apparently his favourite position - on the left of a midfield three - in a bid to help him recover some form and confidence as the business end of the season approaches. Instead, the United manager was obliged to call on the services of the veteran Michael Carrick who, at 36, may be many things - calm, accurate, disciplined - but one for the future he isn't. 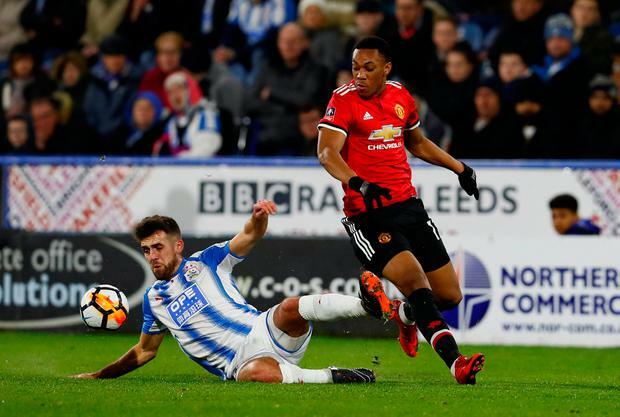 Still, the United manager will have noted one thing about the way his side brushed aside David Wagner's team: Alexis Sanchez's eye for a killer pass has not been dulled by his move from Arsenal. 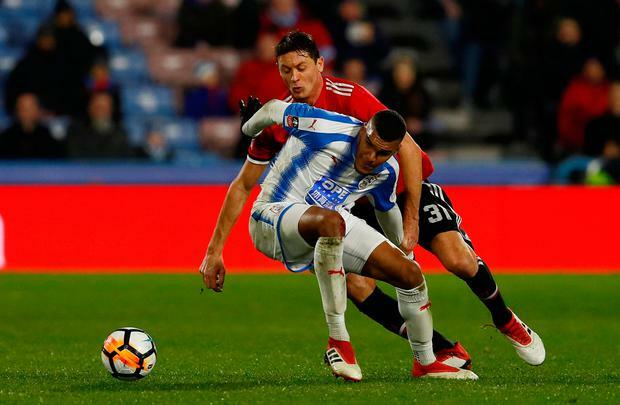 The Chilean had spent much of the first half looking increasingly dispirited as his team-mates drifted ever deeper in their attempt to smother Huddersfield's busy midfield probing. He could be seen constantly waving colleagues forward, when Mourinho might have hoped he had joined them in defensive duties. Then, just after half-time, he took matters into his own hands and supplied the game's one stand-out moment: a laser-guided return ball into the path of Romelu Lukaku, who barrelled forward and scored. The Belgian's finish - as it had been when he latched on to an almost equally impressive ball from Juan Mata after just three minutes for the opener- was not as true as he might have hoped. As for Pogba, Mourinho said he had no clue if the Frenchman would be available for the European tie. He could only express hope that his midfield linchpin enjoys a swift recovery. While wildcat rumours that circulated after their defeat at Newcastle of a dressing-room bust-up were fanciful, there is no denying that the Frenchman has looked out of sorts of late.